Prominent land activist Tep Vanny remained defiant on Thursday during an Appeal Court hearing to dispute her more than two-year prison sentence over charges related to a 2013 demonstration in front of Prime Minister Hun Sen’s mansion. 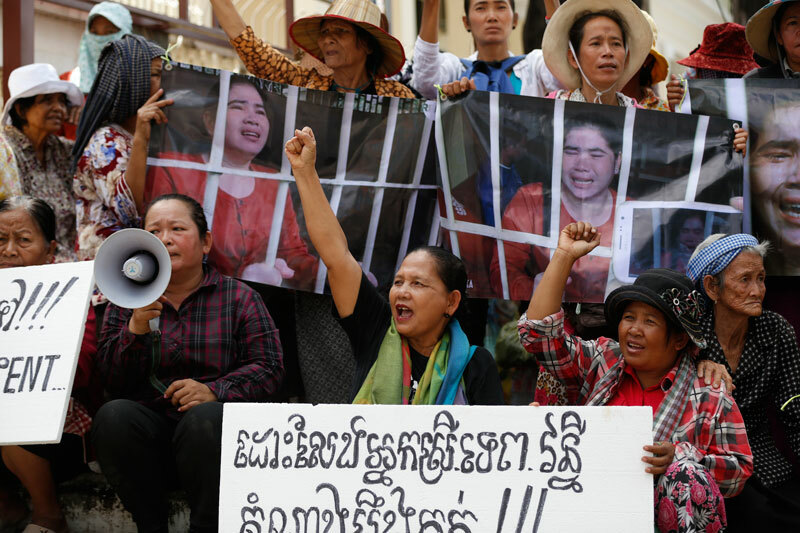 Outside the courthouse, a crowd of about 30 members from her eviction-hit Boeng Kak community called for her release from behind picket signs, chanting “Free Tep Vanny” in unison. Ms. Vanny is counted among at least 20 political prisoners in the country, according to rights group Licadho. Her case is widely seen as part of a government offensive against critics, from human rights defenders to political analysts and opposition officials, intended to stifle dissent. She has now been in jail for 348 days. Ms. Vanny repeated her claims of innocence in court on Thursday, defending her actions under questioning by the prosecutor as the pair interrupted each other throughout the two-hour hearing. 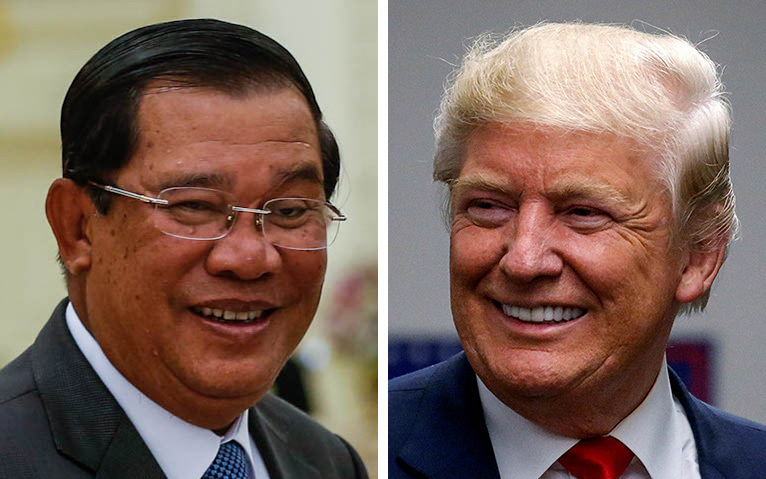 Prosecutor Sar Yousthavrak said Ms. Vanny had no right to march to Mr. Hun Sen’s house, as it was private property, and she had therefore instigated violence. “Even though your group didn’t try to go up to the house, the point is that you were opposing authorities,” he added. 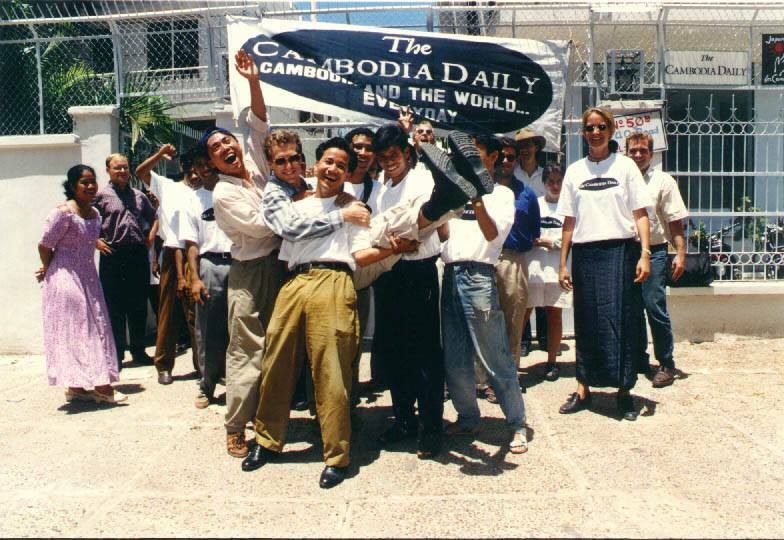 But according to Ms. Vanny, the visit to the premier’s Phnom Penh mansion to deliver a petition was a last-ditch attempt to secure the release of their fellow activist, Yorm Bopha. Later in the afternoon, a court clerk read aloud an account of events taken on the day of the protest according to the plaintiff in the case, Daun Penh security guard Hor Hoeun. Mr. Hoeun’s account says that Ms. Vanny, Ms. Bopha and another community member, Bov Srey Sros, were involved in the violent scuffle. But Ms. Vanny said the report was riddled with flaws. 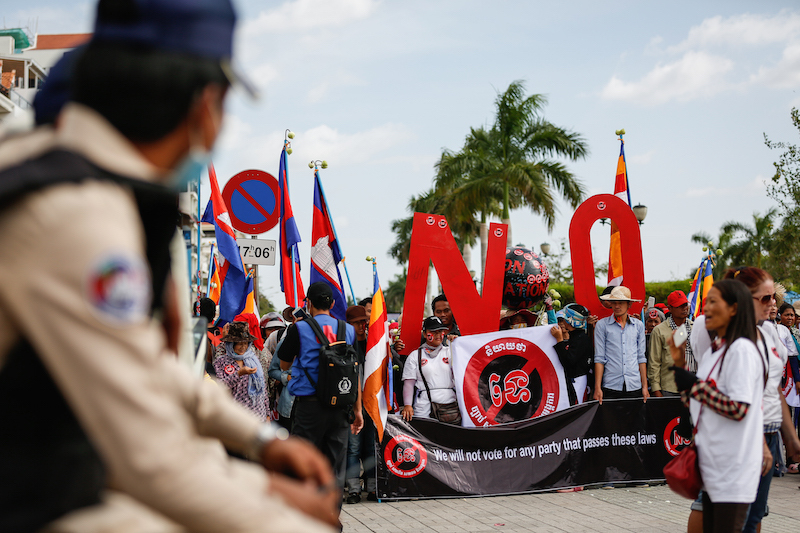 “It’s a fabricated record because Ms. Yorm Bopha was in prison and Bov Srey Sros never joined protests after 2011 because she had had a miscarriage,” she said. At the close of the hearing, a teary-eyed Ms. Vanny hugged her two children as she was led outside the courthouse. Her supporters continued to chant outside. “The decision of whether there will be justice will depend on Samdech Prime Minister,” she said before being whisked into a van to be returned to prison. The court’s decision on her appeal of the two-and-a-half-year sentence on the intentional violence conviction is set to be announced on August 8.